Soho is recognised globally as London’s original office location for the creative community. Ampersand was inspired by both the past and future of the district. Working together with Darling Associates the building has been wholly re-imagined as a boutique, luxury office for a new generation of creative and commercial businesses. On the top floor, 12 boutique apartments have been created with terrace spaces. The centrepiece being a 4-storey staircase designed by leading British Industrial artist, Paul Cocksedge. 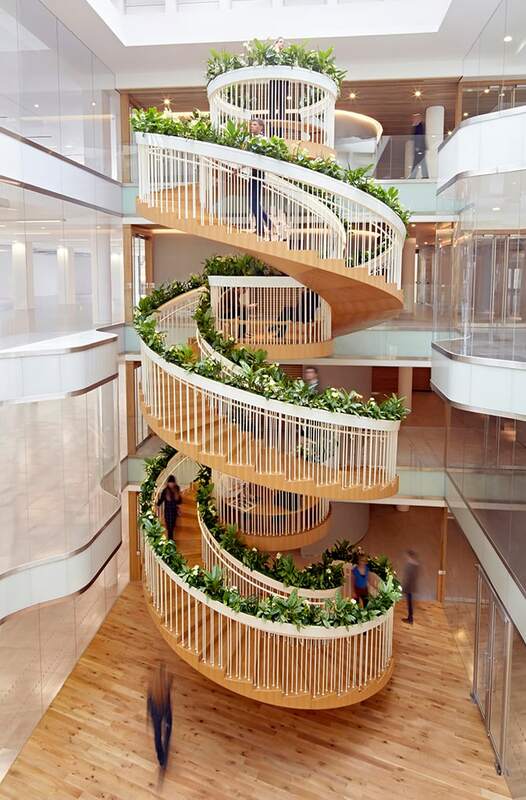 Positioned in the heart of the development, the ‘living staircase’, creates a unique meeting point for the workforce. A signature sculpture desk designed by designer Tom Hingston became the centre piece of the reception space. The office element of the building is now home to King.com the makers of Candy Crush.